Inspired by some of the effects from winter swimming and smoking, researchers from the University of Copenhagen, among others, have found a way to improve the metabolism of mice and make them lose weight. They have done so by stimulating the body's so-called cold and nicotinic receptors. Obesity is an increasing problem in the western world, and half of the adult population in Denmark falls into the categories of moderately overweight to obese. Researchers from the Faculty of Health and Medical Sciences, University of Copenhagen and collaborators have now found a method to fight this problem with a new treatment. 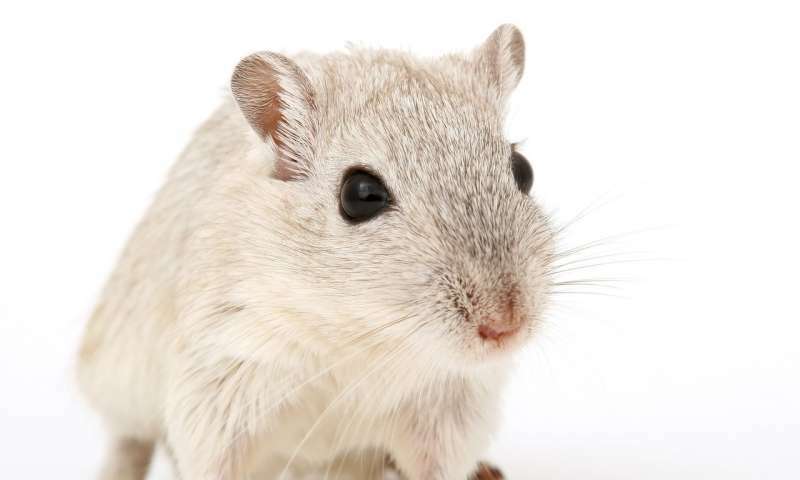 The treatment, which has been tested on mice, burns more energy, suppresses the appetite and produces weight loss. The researchers have found inspiration in everyday life and investigated whether pharmacologically, they were able to imitate some of the effects from winter swimming and smoking. The result was an increase in the energy turnover which may happen in cold environments and decreased appetite as observed in connection with uptake of nicotine. First, they investigated how they could activate the so-called cold receptors found in connection with winter swimming. The cold receptors activate the body's so-called brown fat which burns energy. "We tried to find the molecular mechanisms for the way in which cold increases the burning of energy in order to duplicate them in a medical product. We found a cold receptor—TRPM8—and identified the substance icilin, which can activate it. However, the cold receptor is not found in brown fat. It seems that the cold receptor on the surface of the skin sends a signal to the brain that subsequently activates the brown fat via nerve connectors," says Associate Professor Christoffer Clemmensen, CBMR, University of Copenhagen. "The mice became slimmer when they were given icilin because it increased their energy turnover. This confirmed our idea. However, the effect we saw was not sufficiently strong to have any actual effect for patients, even if we could optimise the medical product. If you want to change people's body weight, it is not enough to target the energy turnover alone. To really create a negative energy balance, you also have to make people eat less," says Christoffer Clemmensen. The researchers therefore began to look for something they could combine with icilin treatment. It led them to investigate the so-called nicotinic receptor. The receptor is named after nicotine, because this is one of the substances that can activate the receptor, which decreases the appetite. Following a wide range of tests of various pharmacological substances that could activate nicotinic receptors, researchers discovered dimethylphenylpiperazinium (DMPP). "DMPP not only suppresses the appetite, it also has a huge positive effect on glucose metabolism as opposed to nicotine, which has a poor effect on fat in the liver and insulin sensitivity. We therefore combined icilin and DMPP and achieved what you might call a synergy effect on body weight. This means that two plus two add up to more than four. On their own, they do not produce any particular weight loss, but when we give them together, we see a big weight loss," explains Associate Professor Christoffer Clemmensen. In the tests, the mice experienced a weight loss of about 12 percent over a period of 20 days when they received the combination treatment. Their metabolism was improved and glucose intolerance disappeared. The test results are described in a new study just published in the scientific journal Nature Communications. However, it will require several studies to determine if the combination treatment has the same effect on humans.